What do you enjoy the most when attending a festival? 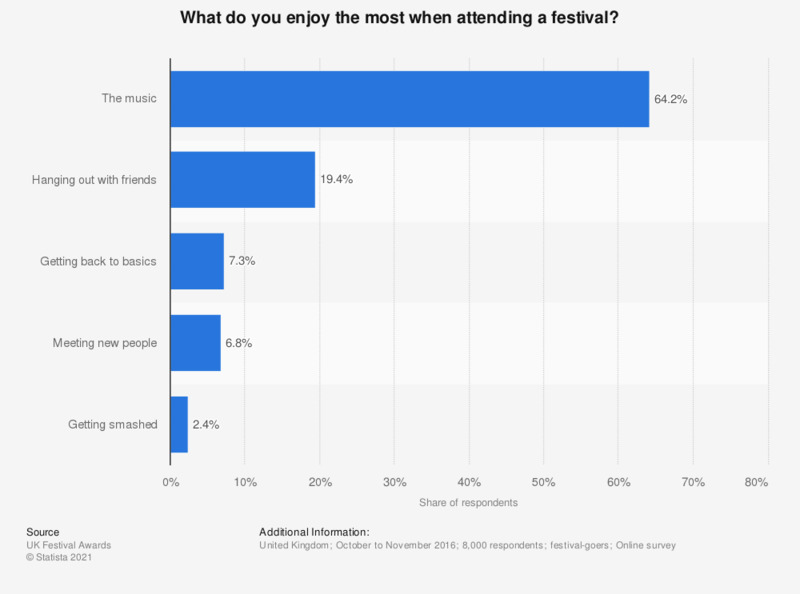 This statistic displays three aspects of music festivals that festival-goers reported loving the most in the United Kingdom in 2016. During the survey, 19.4 percent of respondents reported loving hanging out with friends the most. How much did you spend before each festival (camping equipment, new clothes, transport, etc)? Which of these was the biggest downer for you at the festivals you attended this year? How much did you spend in total at each music festival (food, merchandise, drinks, etc)? Which home comforts did you miss the most at the festivals you attended this year?